Visit your school’s store and you’re likely to find a myriad of flags, banners and pennants that you can display prominently around your home. Decorate your room in your school’s colors, hang your school’s flag next to your front door or decorate your windows on game day. No matter how you choose to use these materials, your neighborhood will know exactly who you support. Look for flags and banners made out of nylon, especially if you’ll be hanging them outside; nylon is naturally weather resistant. 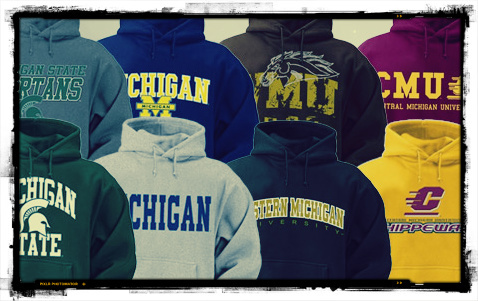 You can buy clothing from your school like everyone else, or you can custom-design your own T-shirts and hoodies. Find a shirt style that you love, add your school’s emblem or mascot and have your name printed across the back. Custom hoodies are more affordable than you may think and they allow you to show your support even when the weather takes a turn for the worse. You can find hoodies and tees in a variety of colors and styles. Be prepared to tell people where you got your unique shirt; everyone will be impressed by your design. Do you have a Facebook page or Twitter account? You can proudly support your school via social media. Share links to relevant news stories, tell your friends and followers about your great experiences or dress your page in your school’s colors. Use your imagination to decide how to support your school through social media; there are a wealth of opportunities out there to get the word out. Are you a fanatic when it comes to your school’s sports teams? Make sure that get tickets to all of the events in order to show your support. Nothing is more fun than gathering all of your friends and going to the big game on a Friday night. Wear your personalized hoodie, paint your face and create a great sign to hold up every time your team scores. There’s nothing wrong with being a fanatic! Just remember that being a fan means supporting your team through both the thick and the thin. No one likes a bandwagon fan; make sure you’re supporting your team even if they’re on a losing streak. If you love the education that you’ve received at your school, why not help recruit new students? Contact your school’s advising office and find out how you can help. You may be asked to visit high schools, take part in career days or even spend some time helping new students register for classes. Making sure that others have access to the same fantastic education that you have is a great way to show support for the school that you love. If your school doesn’t hold recruiting fairs, take it upon yourself to get the word out. If you love your school, be sure to show your support. No matter if you advertise your school across your chest or scream your voice hoarse at the next big game, your friends and family will have little doubt where your allegiance lies. Display the pride you feel in your school proudly; you never know who might be looking. 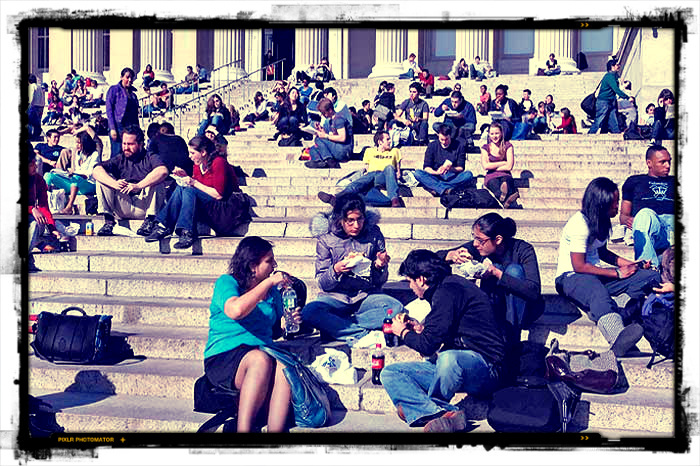 Ara Muffins writes for education blogs where you can read more about participating in college life. Thanks for your grateful informations, this blogs will be really help for students blogs.